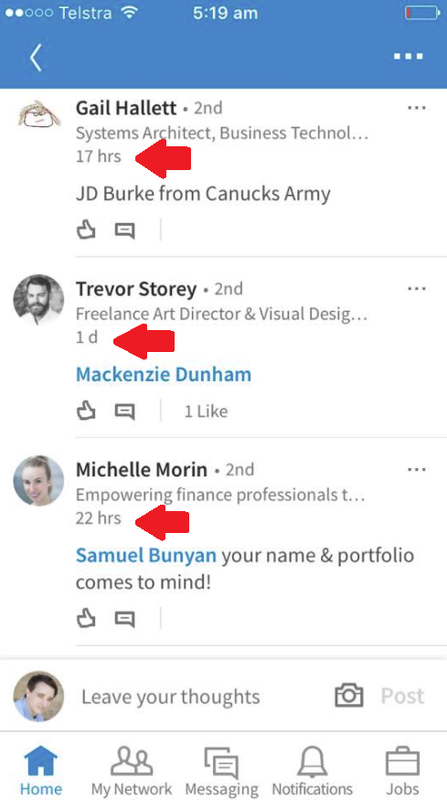 It's not blatant, but much like their algorithm-fueled feed listing, your LinkedIn comments feed will now also appear out of chronological order (unless you specifically switch it to 'Recent'). And there's good reason for that. As explained by LinkedIn, back in 2016, they sought to re-order comments to boost engagement. Rather than displaying them in the order in which they'd been posted, LinkedIn prioritized the listing based on engagement - those comments with the most Likes and/or replies appeared first. The idea behind this was that this would surface the most relevant comments - and it did, to a degree. "...good comments would be buried beneath not-so-good ones because they didn't yet have enough likes, and early comments on a thread having an unfair advantage because they had more time to accumulate likes and replies." 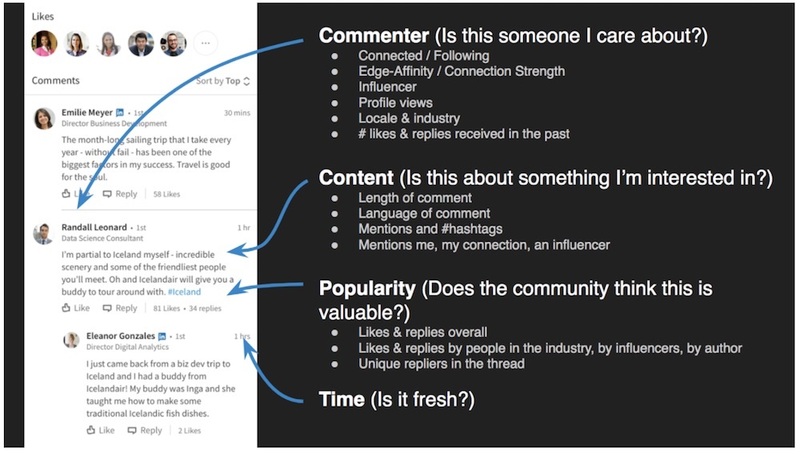 To improve on this, LinkedIn's built a new model which is based on a range of individual factors in order to surface the comments most relevant to each user in order to prompt more engagement. As you can see, the new system takes into account of personalized factors, including how you're connected (or not) to the commenter, how many profile views the commenter gets, how many likes and replies their comments have seen in the past, hashtags used within the comment, and many more. "There are close to 100 features that we capture and use in online ranking. A machine learning (ML) model is used to train these features to predict a member's comment engagement. For each member, we depend on other ML models to classify and detect spam and low-quality content in comments and pick the ones we know are good to show to the viewer." "In 2017, we've seen record levels of engagement. Social actions on the feed (likes, shares, comments, etc.) have grown by +60% year-over-year. Members are interacting on the feed more than ever, and the value of conversations on these threads is immense and growing." It may seem relatively minor, but this is a key consideration for marketers looking to build their presence on LinkedIn. For one, simply commenting on posts is likely no longer enough to have any significant effect. It used to be that you could get yourself onto the radar of people you want to connect with by engaging with their posts and updates, and that's likely still true to a degree. But to truly capitalize on the potential of this option, you now need to have a more all-encompassing LinkedIn presence. Boosting your profile views and making more relevant comments - which, in themselves, inspire likes and replies - will help improve your visibility to both the individual and their connections, while including relevant hashtags is another key consideration which is being factored into the comment algorithm. "The number of interactions generated per comment update impression is 2.5x that of connection updates (updates indicating your professional network has new connections), and 1.8x that of viral updates from likes from your connections." That makes it one of the best tools you have for boosting your LinkedIn presence, and staying front of mind among your connections. The stronger your profile and presence on the platform, and the more engaging your comments are on posts, the better chance you'll have of generating more 'Comment Viral' notifications, and thus, generating more engagement. 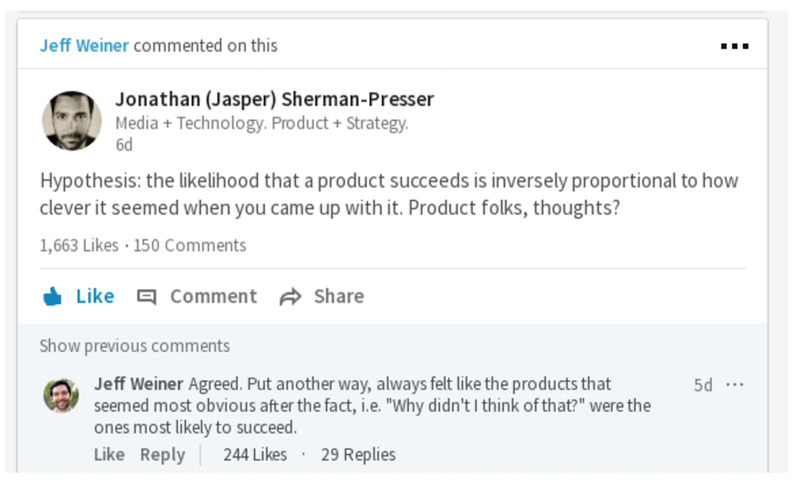 As noted, on the surface, the update to the way in which comments are displayed on LinkedIn is fairly minor, and fairly logical, in the same way comments with more likes are displayed on Facebook. But the technical details of how this system works hold some important insights for those looking to maximize their presence on LinkedIn, and utilize it to build more effective professional connections.